Connections: Beer Recommendations turns into Business Class! 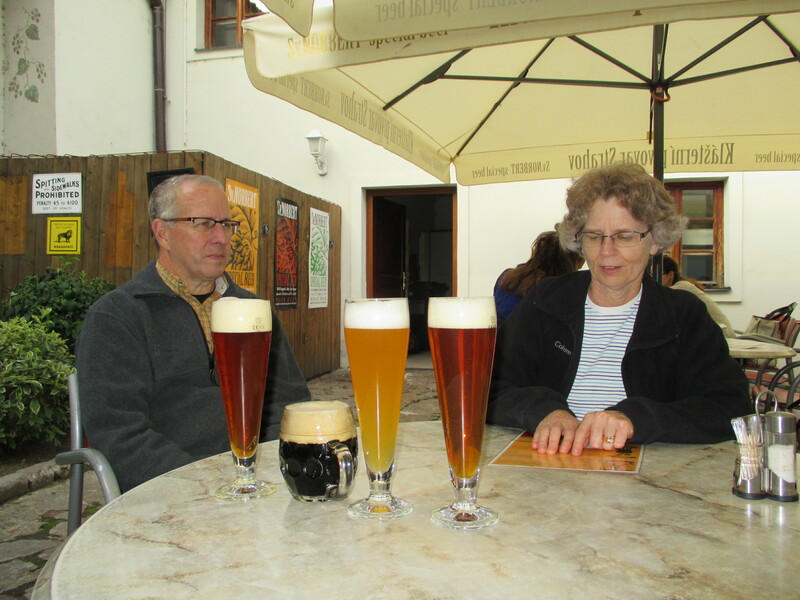 On our last evening in Prague, we decided to try the brewery near the Strahov Monestary. 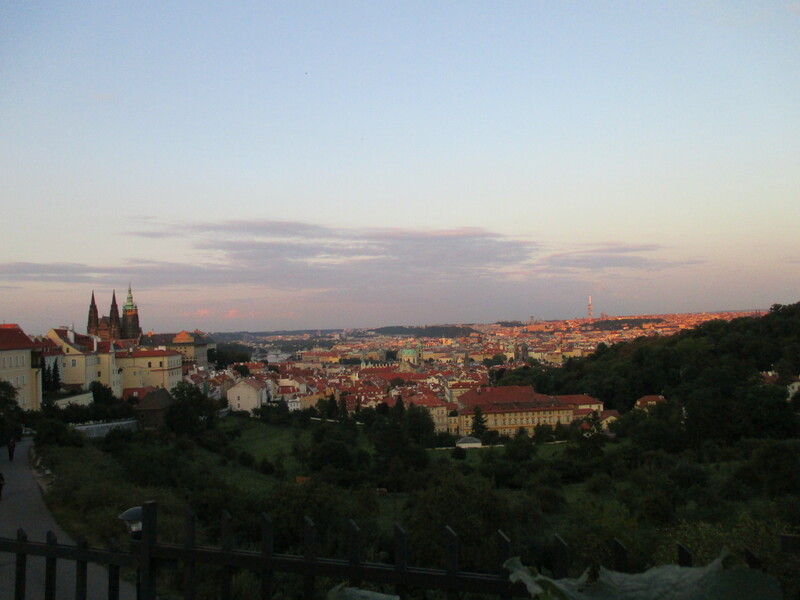 We hiked up the hill, which of course has some amazing views over the city. 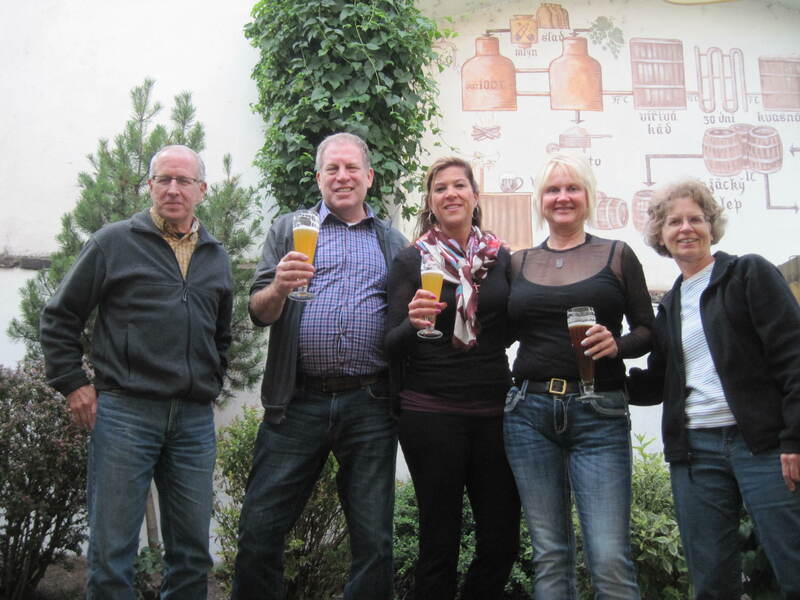 We sat down at the brewery and enjoyed a few of the beers. When we were almost done, a group of Americans sat down next to us. They asked us for some advice on which beers to try, which of course we answered. As we continued to chat, we found out that they were a group of flight attendants… who were working a flight to New York the following day… in the morning… It was the same flight as Donna and Steve were flying on! The flight attendants thought this was just as great a coincidence as we did and insisted on getting their names and a photo!